When a brewery starts with the opening line, “is all about producing amazing beer”, of course, you can look at that many ways; sideways, or with more than a little, “oh yeah, realllly”, and then when you read on “We’re mostly concentrating on sour beers as we’re on a mission to expand the possibilities of what’s possible”, to our ears, can mean one of two things – car crash brewing, or OMG good beer. Thankfully, it’s the latter not the former. Yes, these beers, are OMG good. Chortlon Brewing Co, is one of the most exciting, eccentric and brave new breweries I have had the fortune to be introduced to! Mike, a well travelled, eccentric character, like many had gravitated to the railway arches of Bermondsey, London to hone his brewing skills and equally satiate his palate for innovative beers with the burgeoning beer community. Then, just upped and went to Manchester to scratch that itch of opening a brewery, following the dream! Not able to actually open the brewery in Chorlton, as was planned, they are now gracing the delightful scenery of Ardwick in Manchester. Tongue firmly in cheek. But, like many, as a friend recently said, it wouldn’t be modern day British Craft Brewing, if it wasn’t in a railway arch, so Chorlton Brewing co, is in a railway arch. Beyond the location, the route to opening the brewery, what Mike is achieving with his custom brew kit, is seriously impressive – super clean, incredibly aromatic tart ales that, trying to avoid the cliches, both push the boundaries of what sour/tart beers are, and reflect on what has gone by, with passion and devotion to the styles. Ignore the numbers on the various beer rating websites, these are really out there beers, but really accessible and great fun refreshment. What drew me to them, was the impressive Yakima Sour, a dry hopped “berlinner weisse”, with American aromatic hop varieties, that leaves a “Jolly Rancher”/Haribo sours type experience – super fruity, but with a long tart citrusy finish. Then there is the Woodruff Berlinner, again another lacto-sour, but flavoured with natural Woodruff, so you can experience the natural flavours, that have become forgotten by the larger brewers who remain commercial brewers of this style, in Berlin. Oh.. And every beer they ever make will be unfiltered, unpasteurised and unfined. Do not miss these guys. We’ll be increasing the range, as and when new beers emerge from the railway arch. Looking to Buy Chorlton Brewery beers, get them right here! Are you a brewer, brewery or do you know a brewery that deserves more attention? Of course we get sent samples, but we’ve always worked hard to sort the wheat from the chaff, making sure that just any ol’ or new beer lands on our website. Having something of an awareness of brewing and worked with some of the best in the game, they have instilled in us, what it takes to be “just good beer”. Now, here’s the nub, I know a fair few of you who read this are brewers, work at breweries or are just really big fans of your local brewery. 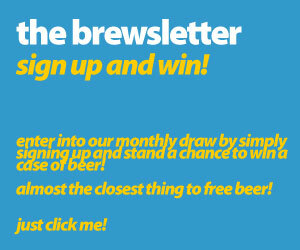 What we’re asking is, if you think your beer is excellent, get in touch! If you’re a friend of a brewery, make sure they’re aware of this, we’re always looking… and if you think there are beers “missing” from our site, let us know too! Tweet us, drop a note/link on Facebook or email us! London Calling – a mixed case of London Brewed Beers… we’ve “restarted” it, 16 bottles of some of London’s most characterful beers, with a free Meantime Glass and a 15% discount This case will include great IPA’s, great lagers – from Camden Town, Redchurch, Kernel, Meantime, Partizan and the Amazing Craft Beer London Book! Normally over £60, all for £49.95! This is a truly amazing category of beer. The few breweries that brew Lambic, then blend to be Gueuze – the famed Cantillon and Drie Fonteinen, the new comer blender Tilquin, the variety and consistency of Boon as much Mort Subite. There are also brews from Girardin and De Troch that aren’t in stock at the moment, but, look out for them in time. Then the curious and perculiar to the lambic brewing scene, the blender, famously Hanssens. It’s hard when you’re this nerdy about Lambic, to not have a growing variety of gueuze and kriek etc. Yes, Lambic isn’t for everyone’s palate – leathery, acidic, woody, raw and spritzy flavours. But, once you “get it”, you’ll love those flavours. A great come home to beer – the sharp refreshment. That goes oh so well with italian-style dried meats etc. It’s not a well hidden secret that we can really dork out when it comes to gueuze, and kriek. Those sour wild fermented beers are a go to, far too often. So much so, we’ve really stocked up and have a good selection. Any order gets a free glass! Just because we can, we’re going to put a free glass in every order this week! As easy as that. You buy beer, we send you a glass too! The Harbour Brewing Co was started in 2011 by Bretheyr Rhys Powell and Eddie Lofthouse who share a passion for beer and surfing, both with the dream of opening their own brewery. Rhys had taken steps to make his dream a reality studying Brewing and Distilling at Heriot Watt University in Edinburgh, and having taken a position as a brewer at Sharps Brewery in Rock, North Cornwall. Eddie had been running the family business, The Atlantic Hotel and Doom Bar in New Polzeath, Cornwall, for a number of years. The Hotel and bar closed in early 2011 and is due to be rebuilt as a new hotel, apartment, restaurant and bar complex. This provided a perfect time to make a career change. In early 2011, they decided to take the dream a little further. they met in a pub in Padstow and decided they would open a brewery. The first thing they did was celebrate by drinking a few beers and deciding a name. It seemed a good idea to name ourselves after the place the idea was conceived, and Harbour Brewing Company was born. Starting from scratch, the opportunity was there to install a brewery system with the versatility to allow the brewing to be as creative as possible. Eddie found a 10 British Brewers Barrel (bbl) system designed in California, and built in Hungary, by the American firm Bavarian Brewing Technologies. Harbour Brewing Company is a small craft brewery based in North Cornwall. they are committed to making beers that are contemporary and deliver an uncompromising taste experience. they use pure Cornish spring water sourced on the hillside next to the brewery, and only the finest raw materials. they believe this is the only way to deliver a premium quality product. they apply a progressive and innovative approach in both beer style and brewing technique, whist honoring traditional and proven methods. Using this approach they aim to produce a range of full flavoured, balanced and creative beers. Chimay Brewery (“Bières de Chimay”) is a beer brewery and monastery in Chimay, southern Hainaut, Belgium. The brewery is located in the Scourmont Abbey, a Trappist monastery, and is one of the seven breweries worldwide that produce Trappist beer. They make three widely distributed ales: Chimay Rouge, Chimay Bleue, and Chimay Blanche. Chimay is an authentic Trappist beer. That means that it is brewed within the walls of a Trappist monastery under the control and responsibility of the community of monks, and whose revenue is devoted to social service. London now has it’s very own craft beer and as the name suggests, it’s being brewed in Camden. Using only the freshest ingredients and no brain aching chemicals, Camden Town Brewery have been making beer beneath railway arches in Camden since 2010. Inspired by the great beers of Germany and America, they make a lager, wheat beer and US-style pale ale, plus a hoppy nitro stout, called Camden Ink. Watch out for regular single-release beers. The best city in the world deserves the best beer and now it’s right here. We are proud to announce the launch of our new website. We feel we have radically improved the layout, design and functionality of this new website with many new features! 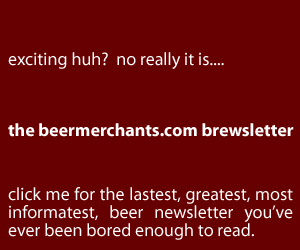 This will be the first time you’ll see the all new Beermerchants.com site. Built from the ground up, the third incarnation of Beermerchants.com, We’ve gone out and put it all your suggestions in place with the new site. It’s been a long, big job. We really wanted to bring something special to the online beer retail world, I really hope you’ll appreciate what we have acheived. Something simple, clean and easy to find the beers you want, and might like. Here’s a few new things that I think you’ll appreciate. We think the best thing is that you can browse by the breweries like Huyghe Brewery, Kernel Brewery and Fruli and more… you can find beers by style and by country at the click of one little icon. IN STOCK? OUT OF STOCK? – Now, it’s always fatal to make promises, especially when it comes to technology – but, the new system has full stock control, so if it’s there, available and not saying “out of stock”, it should be there! WISHLISTS? You can now add all the great beers to a wishlist! Yes, just like Amazon, so you don’t have to keep it in your cart! If you do like to add things to your cart and come back, they have a five day “shelf life”… so you have 5 days to grab what you want! ALL THE GOOD BITS – Be assured, all the good bits are still there: the favourite Mixed Cases, all the classic Belgian beers, Trappist Beers, but now with a range of awesome German brews and many great beers from the rest of the world! All delivered straight to your door for you to enjoy in the comfort of your own home, by our normal couriers. BEER GLASSES – We have added more Glassware! You’ll find a whole load of new shapes, styles and even some older ones that are oh so collectible. BEER GIFTS – We have extended the range of Gifts slightly into: Gift cases, Soaps, Books and more coming, under the heading “Gifts”. Registering is even easier on the new site, but you’ll have to re-register on the new site, but it’s now even easier. If you want more info – click here. We sincerely hope you like it! New beers are very much easier to add to the site now as well as bring technology improvements over time, we really have to work constantly keeping the site fresh and always offering something new. 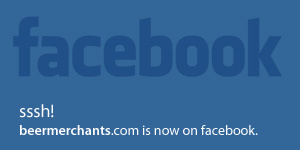 We sincerely hope you enjoy your time on the new site and we cant wait to grow and improve it further through 2012.